It is estimated that nearly 10 million homes in the UK are Hard to Treat Homes. These are defined as homes and properties that are hard to make energy efficient as conventional measures can’t be used to improve efficiency. These are measures such as Cavity Wall Insulation, Loft insulation or don’t have access to a gas mains for a boiler. Equally flats, especially in high rise buildings, might be hard to treat too. If you are on a fourth floor, it could be very difficult to undertake a measure to improve your efficiency without having to get permission from everyone else in the building too! You might be able to install Double Glazing, but wall insulation is likely to be a communal affair! 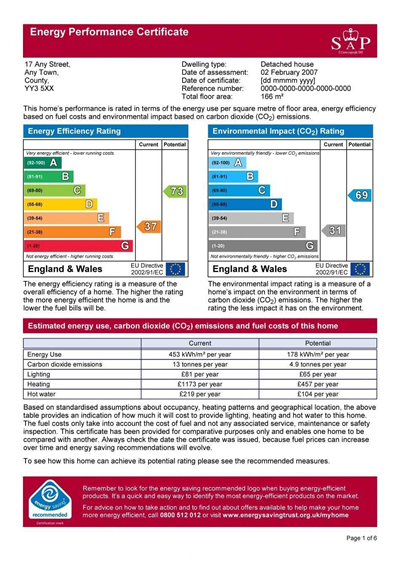 However, even if you have a Hard to Treat Home you aren’t stopped from doing energy efficiency improvements, it is just that they may cost more to undertake and, therefore, longer to pay back. The measures themselves will definitely help to cut any utility bill. If you have had an Energy Performance Certificate carried out then the recommendations section within the report will help point out measures for both conventional properties and those deemed Homes Hard to Treat. The assessor will have noted the construction type of the building and the style, as well as making note of any limitations to recommendations that would preclude them from being used. For example, on a Listed Building of solid stone walls, external solid wall insulation would definitely be considered to be inappropriate. If you haven’t had an Energy Performance Certificate done here are some of the main ‘non conventional’ measures that are available. It is worth seeking professional advice before assuming that you have a feature that would make your property Hard to Treat and definitely seek advice before implementing any measure to redress such a feature! If you have Solid Walls then there are two possible solutions. You can get internal and external solid wall insulation. These both involve adding insulation to one side of the wall to give the building an extra layer of insulation to prevent heat loss. If you have no mains gas available on site then it is always suggested that you invest in the most efficient alternative source. You can get efficient Oil/LPG boilers, but they are not regarded as highly as the mains gas equivalents. The alternatives are to look at technologies such as Heat Pumps, biomass or other forms of fuel source. If you don’t have a loft space there are still alternatives. The roof is a massive area of heat loss for any property that has one and it is always recommended to install some form of insulation, even if on the exterior of the roof itself. Other alternatives are to improve the insulation level at the ceiling level on the interior. The interior insulation is potentially the cheaper option but may well reduce room heights. These measures are all expensive and require labour and materials. You might be able to gain grants or discounts, but you would have to liaise with your local authority about what might be available, especially in the current economic climate. However, there are always basic measures that could be undertaken by any occupiers, from lighting and appliance usage, to basic draught proofing. Just because your home might be deemed Hard to Treat for energy efficiency it doesn’t mean there is nothing you can do to cut your usage and save yourself money. Sometimes the most effective measures can be the cheapest and simplest. These are some good suggestions. It’s important that people know that they can still make changes to challenging homes. At the very least, double-glazed windows and energy-efficient appliances should be added throughout your home. Then, also incorporating personal energy saving strategies into your behavior can make a large difference. Take a shorter shower, or maybe even a cold shower every now and then. Washing your clothes in cold water makes a big impact. Being conscientious with all energy usage will lower your utility bills and is great for the planet. I agree with the last comment, but you can also reduce your home energy bills by simply ensuring that your boiler and radiators are working as efficiently as possibly. Blocked or leaky radiators can add significantly to your monthly energy bills. Most notable omission from the list of “Hard to Treat”properties is those constructed in Timber Frame! These were common in the 60s, 70s and 80s and there must now be tens of thousands built to the standards of the time. However, those standards fall well short of modern regulations. Upgrading the energy efficiency of these properties poses significant challenges: cavity wall insulation cannot be used because of the requirement to maintain a ventilation space between the timber frame and the brick outer curtain wall, in order to avoid rot to the timber frame. There is very little advice in the market on potential treatments for timber frame buildings, owners of which seem to have been somewhat left in the lurch.